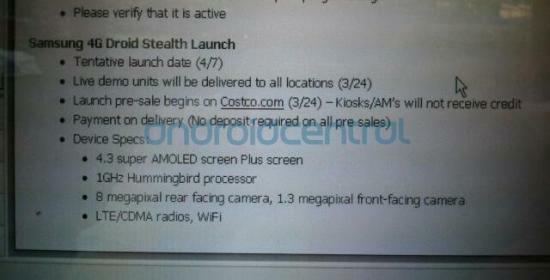 Costco is informing its employees that they are planning to launch the Samsung 4G Droid Stealth around 4/7 and that a pre-sale will start for the device on 3/24 (this Thursday). Couple of things to note here. This device will definitely be DROID branded at launch, which is a little odd and something I’ve been trying to wrap my head around for a couple of weeks now. One of my most trusted sources hit me up with this news and is the reason I kept saying there would be a “surprise attached” to it, so this is exactly the public confirmation that I was hoping to see. We can now start talking about it! The second note though, is about the name. All signs on my end still point to this not being called the Stealth at launch. Wish I could share what I’ve been told is the official name, but sometimes in this business you don’t get to go public with every bit of insider info. 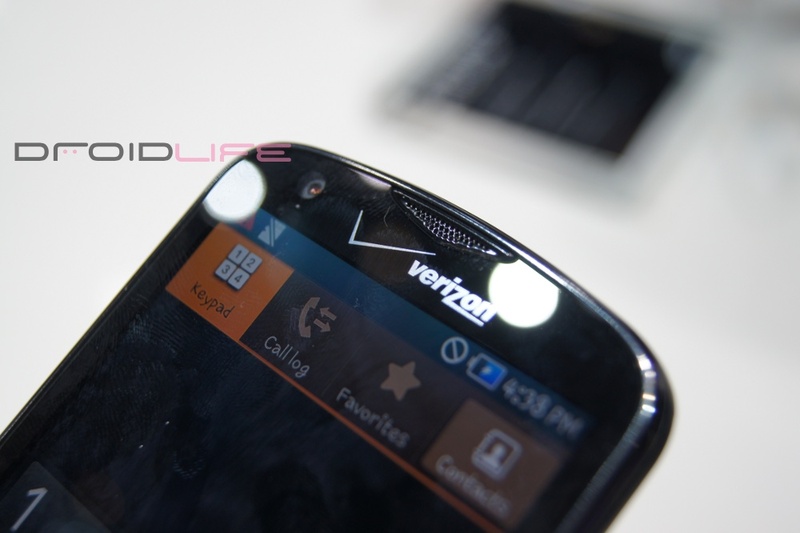 Looks like a CTIA announcement from Verizon should be here any minute. Stay tuned!